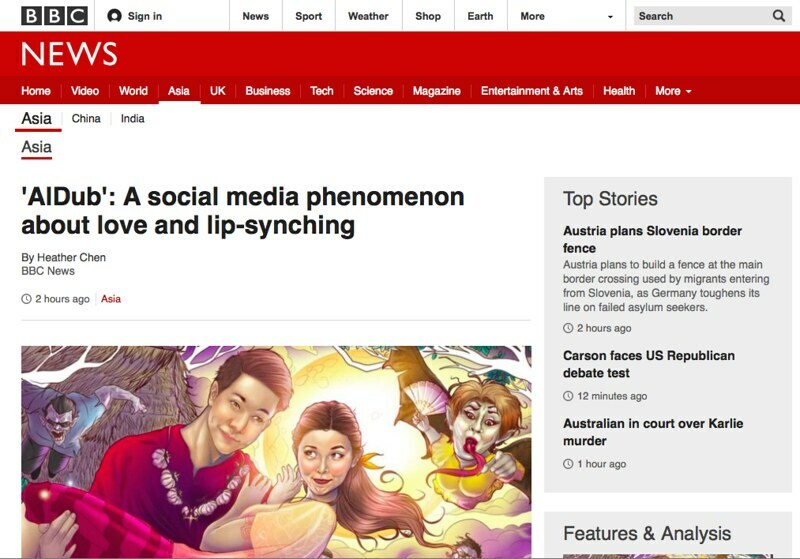 So Aldub was featured in the BBC website a couple of days ago. And yes, I was quoted a few times. I was actually interviewed by Heather Chen early this week. It was a pretty comprehensive interview that forced me to analyze the cultural and social (media) significance of Aldub. I’m sharing what didn’t make it to print. 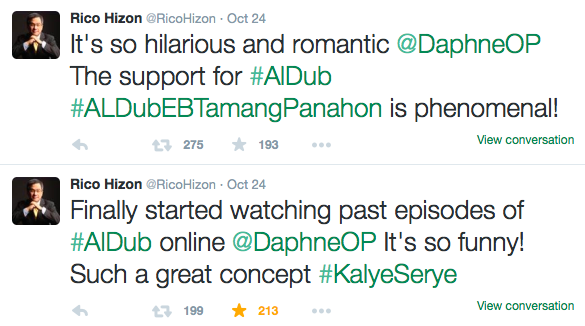 During the airing of #AlDubEBTamangPanahon on October 24th, I was monitoring the show online. I couldn’t watch it live on TV because I was shooting a TV special. I was actually invited by Eat Bulaga management to watch in Philippine Arena. I took a rain check instead. So yes, one day I will be going to Eat Bulaga to watch them in person. I posted some praises about KalyeSerye in my Facebook Page. I said, “not only have they changed the entire TV landscape and viewing habits, they even rocked the advertising industry by dictating ‘no commercial gaps’ – instead, they did product placements and live mentions. Thats power. And theyre building libraries.” That little bit made the rounds in Twitter and Facebook, and landed me in the GMA Network news. 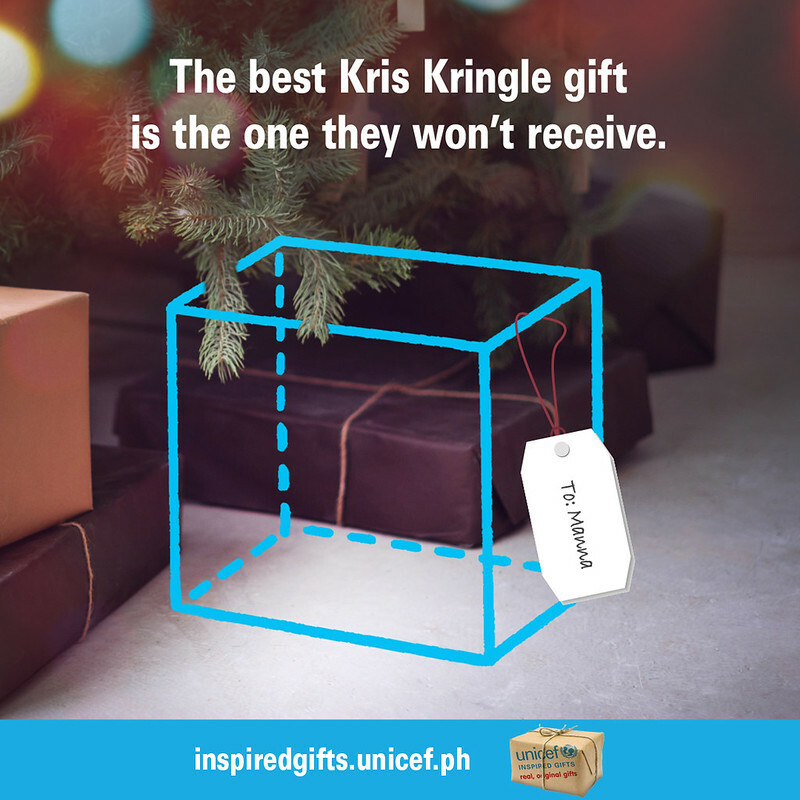 Click on the photo to lead to the GMA News site. ‘AlDub’ is the nickname given to the popular onscreen love tandem of actor Alden Richards, and showbiz newcomer Maine Mendoza, whose character’s name is Yaya Dub. They are the most popular “love team” in the Philippines right now. 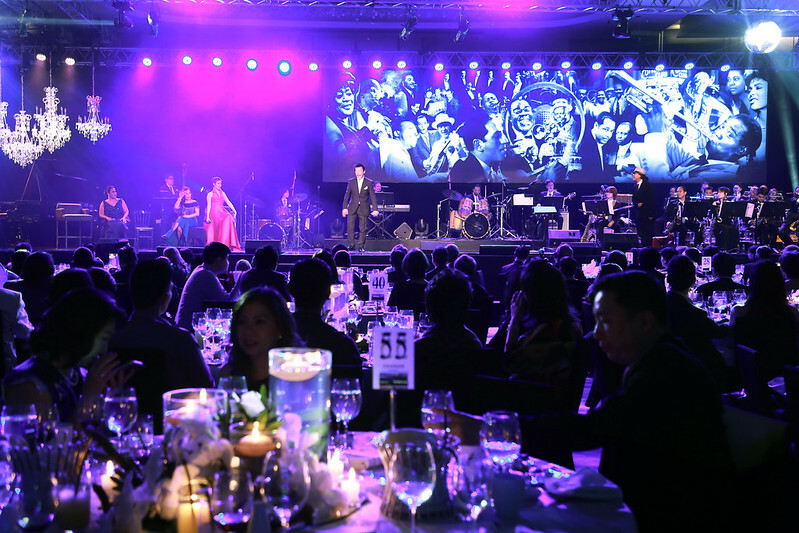 A love team is the usual formula that TV networks and movie productions have used since the beginning of the Philippine entertainment industry after WW2. These actors and actresses are paired up in all their movies and fans hope they end up together in real life. It’s been a formula in the Philippine entertainment industry for a long time. What’s different about AlDub tandem is that it was not a creation of a TV network or movie production, it just happened accidentally on live TV. The name of the show is Eat Bulaga! 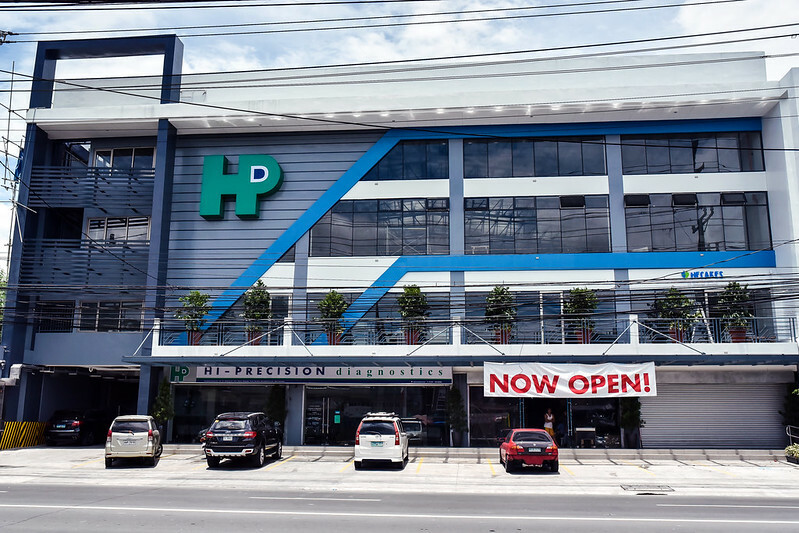 – a popular daily noontime show that’s been running for 36 years. The format includes dance contests, singing contests and comedy skits that involve the show’s hosts (a group of established actors and comedians, young and old) and a live audience. The show has been enjoying a loyal following for almost four decades. They’ve had the same format. The hosts and producers later admitted that having Aldub was a surprise, an accident, a gift. Aldub appears in the segment of Eat Bulaga called “All For Juan and Juan For All” (‘Juan’ being a play on the popular Filipino man’s name.) In this segment, three of the comedians would go out on remote locations, usually in crowded urban communities and interact with the people. Much of it was improv and instinctive. The result was always funny and endearing. Early this year, the producers realized that the segment needed a boost. Jenny Ferre, SVP for Creatives and Operations of Television And Production Exponents Philippines Inc (TAPE, Inc.) and producer of Eat Bulaga!, looked for new talent. She saw Maine Mendoza, a 20-year old graduate of Culinary Arts from a top private school, appearing in her FB timeline. Maine’s hilarious Dubsmash videos had gone viral. Jenny saw something in this girl. Maine was asked to audition. She was asked if she could sing or dance, the answer was no. She said she had no performing talent. But the producers saw something in her quirkiness. So two days later she was offered a small role in Eat Bulaga! She had no speaking lines. All she had to do was lip synch and dub movie lines. She played the role of a Yaya (caregiver) to a rich old grumpy Lola (grandmother), played by a bald male comedian (Wally Bayola) in drag. The Yaya Dub character was introduced to Eat Bulaga! on July 4, 2015. For almost two weeks, Yaya Dub’s character remained in the sidelines with the occasional comic Dubsmash. Then on July 16, the “magic” happened. While Yaya Dub was “dubsmashing” complete with facial contortions, she looked at the monitor and saw Alden Richards (one of the segment hosts) was looking at her. She got self-conscious, lost her character and became herself – a 20-year old fangirl who had a crush on this actor. The other studio hosts clued in and teased her. Everything happened organically. Nothing was scripted. How did the social media phenomenon happen? 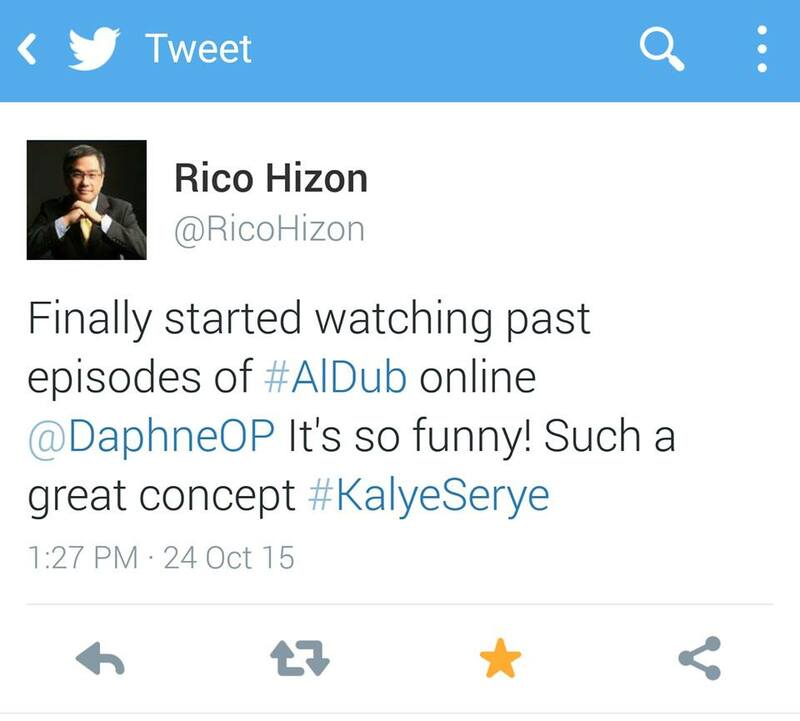 What’s amazing with this Aldub social media phenomenon is that none of it was previously planned. It’s not like they hired social media experts to strategize about how they would handle this. Eat Bulaga had an existing Facebook Page with a relatively small online community. They would upload snippets of the daily show. Now they upload the whole KalyeSerye segment. Filipinos culturally are social beings and community-centric. Our smallest form of government is the barangay – the village. People like to congregate in the town plaza or barangay hall. TV used to be a communal activity – neighbours would watch through windows. Now, there are viewing parties when there’s a big event. There is a strong connection between an individual and his community or home town. If there is a Manny Pacquiao boxing fight, the barangay chairmen would organize communal viewing parties. If a local beauty pageant contestant wins in a larger stage, the victory is shared by all members of the town/community. The same is happening with Eat Bulaga on Saturdays, Filipinos in the grassroots (it’s core audience) can really relate and feel a sense of belonging with the show. There are communal viewing parties for Eat Bulaga when Aldub is on. It was just natural for Filipino fans to go on Twitter and share their experiences. The producers of Eat Bulaga realized that they captured a new audience, a younger and social-media savvy one. So weeks into the Kalye Serye, in August, they encouraged viewers to tweet using hashtags that change daily. Example #AldubMostAwaitedDate and recently #AldubEBTamangPanahon with 41 million tweets which beat Twitter’s all-time record of highest number of tweets for one event, beating the World Cup finals. Studies have shown that the Philippines has a very high rate of social media penetration. Of our 101 million population, there are 44.2 million active internet users (44% of the population). According to We Are Social 2015 study, the Philippines ranks highest in the region for time spent on the internet. In the Philippines, internet users spend an average of 6.3 hours per day on the internet, followed by the Thailand at 5.5 hours, Vietnam at 5.2 hours and Indonesia at 5.1 hours. For context, Japanese internet users only spend 3.1 hours a day on the internet. The Philippines also ranks highest in Asia Pacific for the number of hours a day spent on Social Media. On an average social media users in the Philippines spend 3.4 hours a day on social media (Facebook being the most popular site). For context, social media users in Japan only spend 0.3 hours on social media. I could talk endlessly an totally geek out on this. Back to the love story of Alden and Yaya Dub. This appealed across all sectors of society, rich and poor, young and old. The basic and overall reason is “kilig” – the overwhelming feeling of giddiness about young love. In this digital age where everything is fast and instant, the KalyeSerye brought back old and lost Filipino values such as love is worth waiting for, the harder you work for something the more you will value it, respect for elders, living up to one’s word, patience, persistence, setting goals, and the concept of “Tamang Panahon” — everything happens properly in due time. 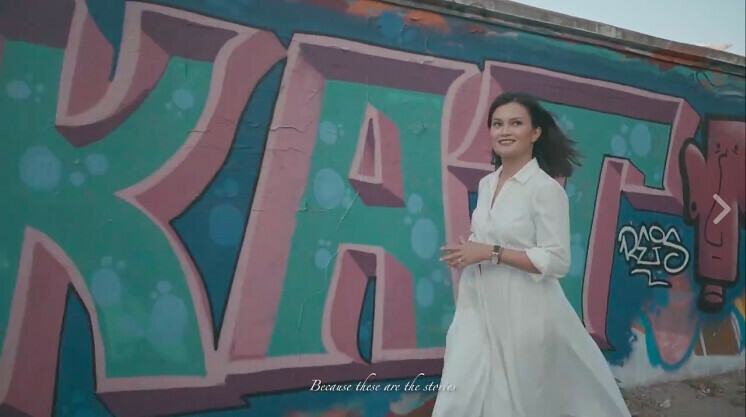 Or literally it’s translated as ‘the right time.’ The theme of giddiness (kilig) and old fashioned courtship resonated well with the young and not so young. Example, when Lola Nidora gave her blessings for Alden to court Yaya Dub, she invited Alden to the family mansion. She gave a few conditions, one of them was “no touch” and stay one foot apart. The audience went wild and took to Twitter to share in this “kilig”. The concept of Kalye Serye, a live reality TV series much like a soap opera that is set in the streets (kalye means street), evolved organically after Maine Mendoza reacted to Alden staring at her via split screen. This was new to the produers and longtime viewers of Eat Bulaga. And it also won over a new breed of viewers – including myself. I’d never watched Eat Bulaga prior to this. The producers realized they had a new audience. They worked on the new genre while keeping the values that attracted the core audience for almost 4 decades. The producers also recognized that people consume media in different forms now. The show airs daily Mondays to Saturdays from 11:30am to 2:30pm. They continue to dominate the existing TV viewership during that time. But they also got the working crowd and overseas Filipinos watching via Facebook uploads. Their own social media team would edit the daily episodes into digital video packages. 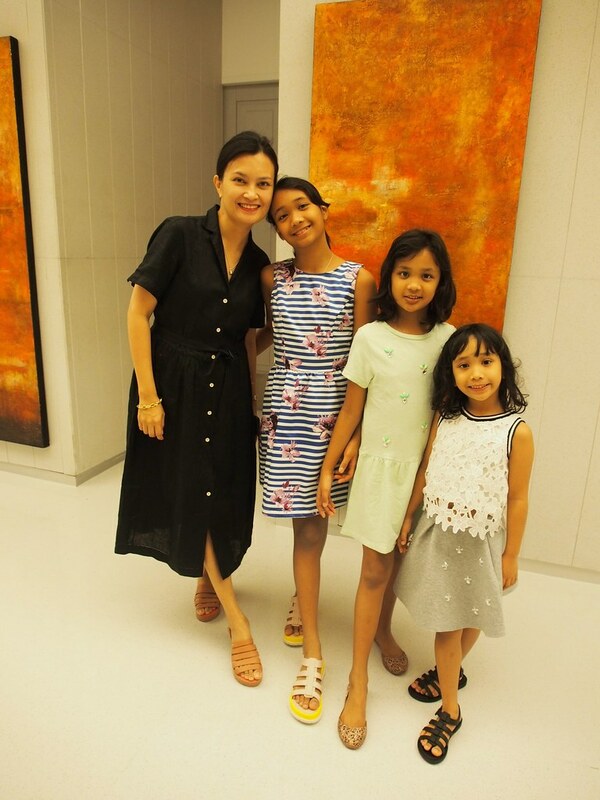 I am not your typical Filipino TV audience – though I spent almost two decades working as a TV presenter and producer of my own shows. I barely watched local television except to monitor my old lifestyle shows F and Urban Zone. The variety show, talent show, and soap opera formats were not appealing to me. And in the past few years, I would consume video via mobile and laptop, not on live TV. But when Maine Mendoza, the girl who plays Yaya Dub, fainted during one episode of Kalye Serye in Eat Bulaga, I saw some curious posts appear in my Facebook feed. I clicked, then clicked some more. And then I got hooked. The characters of the old grandmothers (in drag) were hilarious. And I found myself laughing at night before going to bed. I appreciated it at first from a producer’s point of view. Because I knew the creative, writing, logistical, technical inputs were pretty intense. It was almost genius-like. Sure the teasing and attraction happened spontaneously, but the producers and senior hosts of Eat Bulaga knew what they had, and they handled it very carefully. That was not a fluke anymore. They maneouvered this KalyeSerye to be something that people waited for and talked about – by simply delaying gratification. While their characters had to wait for the right time for love, so did the audience. I’m also impressed that they’ve added a social responsibility aspect to the program. Last Saturday at the Philippine Arena, all proceeds of the ticket sales were committed to building libraries across the country. (Figure is something like P14 million, we have to get exact). That’s a big thing. I like that they are using their fame to affect social change. But I hope they stay away from politics. We have a presidential election coming up in May 2016). What I don’t like about it, is the same thing that people love – it’s popularity. It’s a little scary to see this level of almost-mass hysteria and “fandom.” There was one episode where the Grandmothers and Yaya Dub were in the streets, hosting the show and I could see the crowd closing in on them. It was very scary. They’ve had to adjust their format a bit now. They no longer film directly out in the streets, they just go to safer locations outdoors. I suppose this is why the heads of Eat Bulaga are trying to play it carefully and slowly by adding a social good aspect. Fore more reference, here is my first blog about Aldub, which made the local news. We have yet to see the full power of social media engagement in the Philippines. We are a population of almost 102 million people. There is a 42% penetration of active users of social media. That’s 42 million social media accounts (not unique users). It’s interesting to note that internet service providers had started selling social media in pre-paid bundles. Example, Globe Telecom first introduced the concept of unilimited-Facebook sold on a flat rate daily basis. This certainly contributed to the growth of social media use. Though the social media community in the Philippines is very dynamic – with the Philippines ranking highest in the number of hours spent on social media and internet use, it is still in relative infancy in terms of reach and mobile use compared to neighbouring Asian countries. This is in part due to the still-developing mobile and broadband internet providers. The Philippines has the second slowest internet connection in the Asia Pacific region. South Korea is the fastest with 25.3 mbps. The Philippines has 2.5 mbps and India, the slowest at 2 mbps. (Source: We Are Social). I try to help out with policing people who are using its popularity to hijack the hashtags to use it to influence the voting population. Eat Bulaga folks are also very attentive to the pulse of the people following this phenomenon. Let’s make them accountable sa mga values na pinopromote nila such as Word of Honor. Their management did say they will not let ALDUB join the political scene. 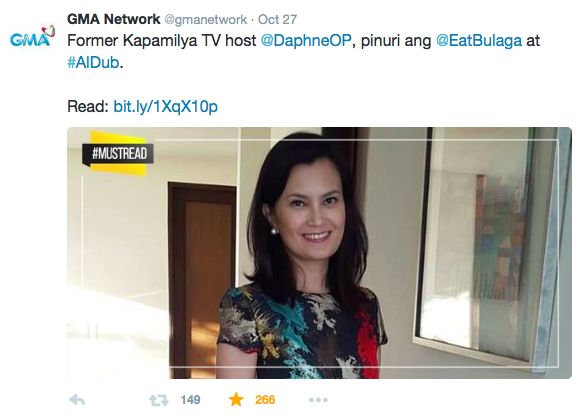 Ms. Daphbe maybe you can lobby for us instead when you meet with Eat Bulaga folks. So let’s make sure that they keep their word and let it not be used to influence the ALDUB following into the voting frenzy. Or if they should it will be in the form of us actually rallying to get ALDUB to promote instead #VoteWisely #MagingResponsablengBotante #PagpahalagahanAngKinabukasanNgSusunodNaHenerasyon or whatever sensible hashtag that you could think of that would really catch on to the consciousness of the people to think of the long term future of our country. Let us harness this positivity instead to promote sensible thinking for our future. Bear in mind that this ALDUB phenomenon cuts through all classes so it’s not something to belittle its effects to the awareness of the voting public. This ALDUB could be used to further its social relevance instead by promiting responsible elections. But let’s not forget that this is also just entertainment. I think it’s a big deal that they are being very careful and responsible about their activities. Hopefully their management reads these comments. You may have missed it because we don’t all watch it on a daily basis but during the episode where they revealed that Isadora Yaya Dub’s real grandma was adopted (Oct 17 or 19 epi i think) Tito Sen alluded to Yaya Dub’s situation similar to Grace Poe. I hoped Eat Bulaga got our message (both in twitter and FB) that it was done in bad taste for it is already a known fact that Tito Sen is running under Poe-Escudero tandem. Dropping names like that is tantamount to using ALDUB’s influence in campaigning for a particular candidate. Of course this is supposed to be pure entertainment, if it remains as such then all for the best. When I saw that episode I didn’t watch until the Tamang Panahon episode because I was already invested with the Aldub Library projects. Ah ya, I saw that. I didn’t like it too. Pretended I didn’t hear it. i just hope that Tito Sotto will not use the loveteam to campaign for the 2016 presidential election. Joey de leon based on what many have observed is more broadminded and sensible in his opinions regarding national issues.I hope Joey de leon will prevent Tito from using aldub to campaign for the latter’s candidate in the upcoming presidential election. Miss Daphne, this is about social dvide. 1. Disclaimer, hanga ako sa epekto ng Eat Bulaga sayo na sabi mo nga hindi mo pinapanood dati. Social divide Ms Daphne kung bakit amused ka ngayon ! Why is this exact same comment being reposted? This already came out the previous Aldub post.